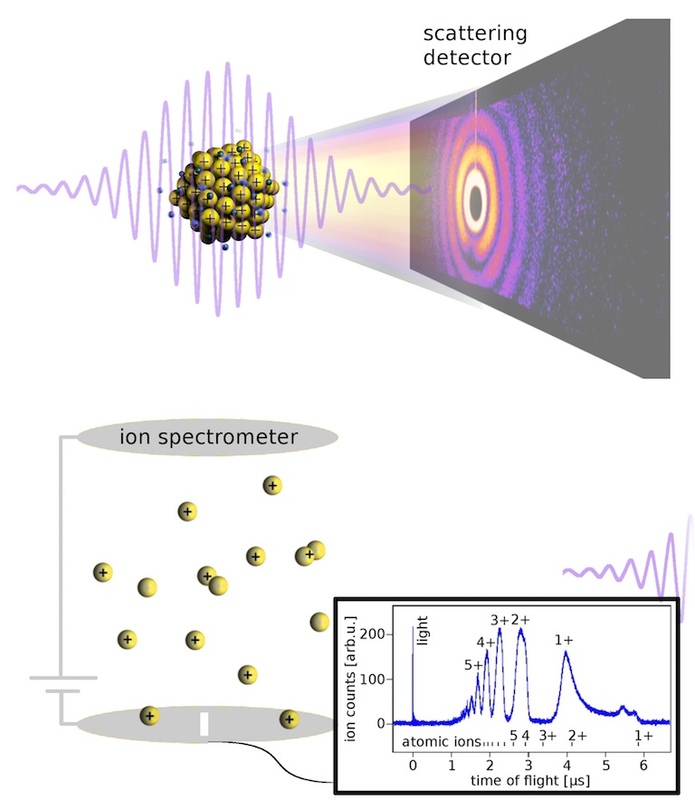 A team of researchers led by Daniela Rupp from the Technical University of Berlin has been using DESY’s X-ray laser FLASH to study the ultrafast, light-induced explosion of nanoparticles made up of xenon. 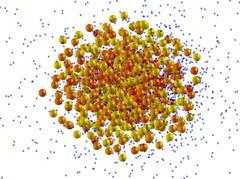 Studying these so-called xenon clusters provides new insights into the fundamental interaction between intense radiation and matter, as the scientists report in the journal Physical Review Letters. “Clusters play a fundamental role in this study,” explains Rupp. “They have a high density and at the same time, when being in the gas phase, they are extremely well isolated from their surroundings, allowing a very clean analysis of the light-matter interaction.” The researchers produced the clusters by blowing cold, pressurized xenon gas into a vacuum chamber. “In the process, the gas cools even further, first forming droplets, which then freeze and agglomerate, much like a hailstone,” describes Rupp. 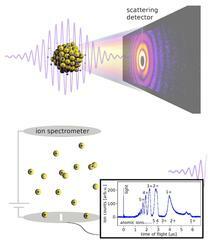 The scientists then fired ultrashort, high-intensity pulses of laser light from FLASH at these tiny xenon nanoparticles, roughly 400 nanometres (millionths of a millimetre) across, whereby the radiation reached intensities of up to 500 trillion watts per square centimetre for a few trillionths of a second. By comparison: the intensity of sunlight striking the surface of the Earth is around 0.1 watts per square centimetre. 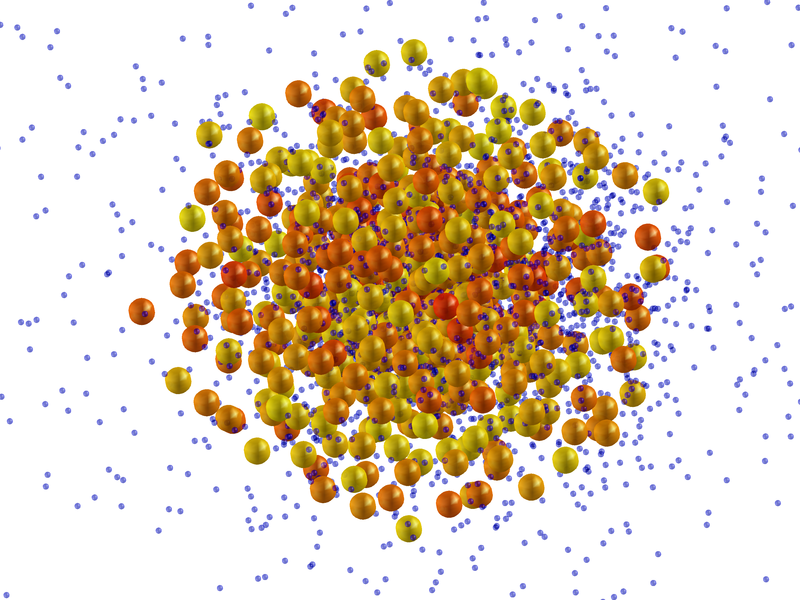 The bright pulse of radiation liberated numerous electrons from the xenon atoms in the cluster, creating a plasma – a hot gas consisting of electrically charged atoms, so-called ions, with electrons racing around between them. The physicists were able to use their experimental set-up to monitor the development of individual xenon clusters and determine their size as well as the precise energy with which they were struck. “This was possible because we were able to take snapshots of the clusters before they were destroyed, as well as making precise measurements of the charge states of the fragments after the explosion,” reports co-author Rolf Treusch, who works at DESY and is a research coordinator for FLASH. In addition to DESY, the Technical University of Berlin and the University of Rostock, the La Trobe University in Australia, the US research centre SLAC in California, the Helmholtz Centre Berlin, the University of Münster and the Argonne National Laboratory in the USA were also involved in this work.